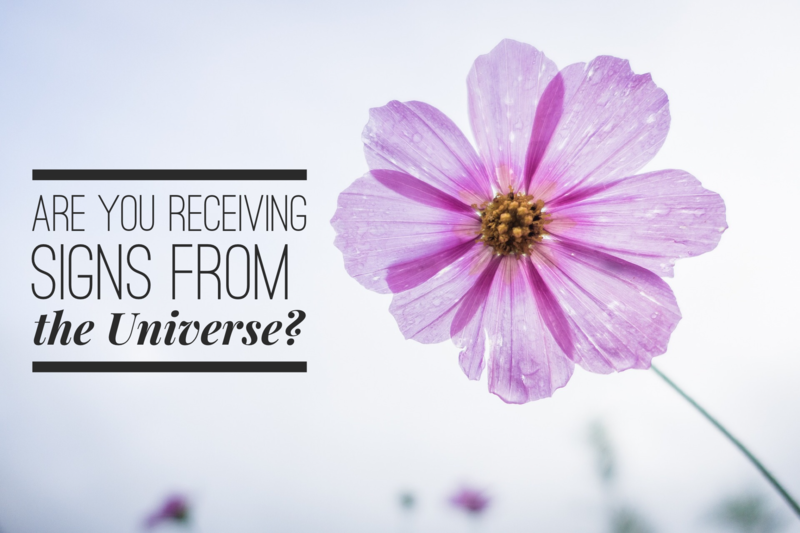 Are you receiving signs from the Universe? Do you communicate with the Universe and ask for signs? 🙂 As part of my Abundant Chicks: Create the Future You Desire Program, one of my clients had asked to be given flowers. I do this exercise because I want to help women strengthen their relationships to the divine, and to improve their communication with the Universe in order to co-create their desired life together. A few weeks later, just when she felt completely disconnected and in need of a sign, she was walking on the street, when a flower fell down from the building above her and landed in her hair. She immediately knew that this was her sign, just when she needed it the most, and took the flower back home. This is just one of many amazing stories and case studies I have from myself and my clients. The Universe is always eager to work with us and above all: THROUGH us. Are you open to that communication?